Sorry things have been a little sloww of late, I have been in London and away from my models. 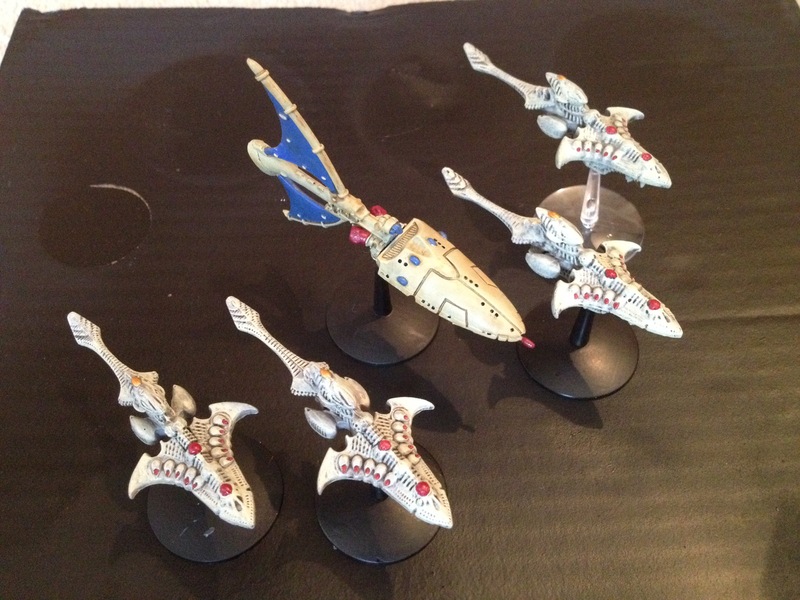 As luck would have it however, I have recently finished up my Craftworl Eldar Dragon ship model, the last unpainted model in my recently featured Craftworld Eldar fleet . In the end I decided to go with a blue colour sail, the red just didn’t look right in that big flat expanse, plus the blue does make a nice contrast point and links in to the Corsair fleet that goes with this one. 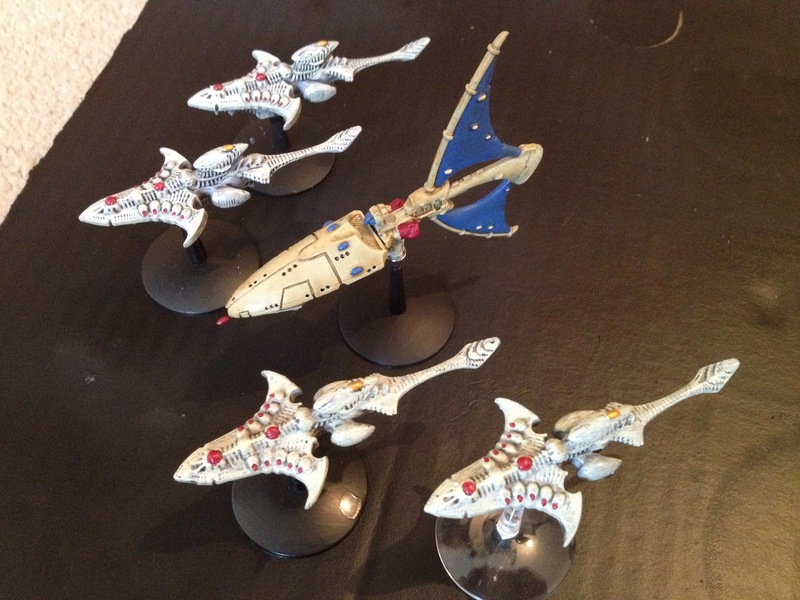 I think I may go back and rewash the spacefleet wraithships now just to bring the fleet together a bit more. I hope everyone is doing well and getting lots of hobbying done. I have been getting a bit of painting in and should have some more exciting sutff ready for you soon. Plus tactica!